1. Use it as a dessert garnish. Chocolate mint is safe for food use as long as it has been grown without chemicals and is washed well. You can use it to top your cakes, cookies, and cupcakes as it offers some nice color and even adds to the aroma of the dessert. 2. Add it to shakes and ice cream. Chocolate mint is a wonderful addition to your homemade shakes and ice cream. 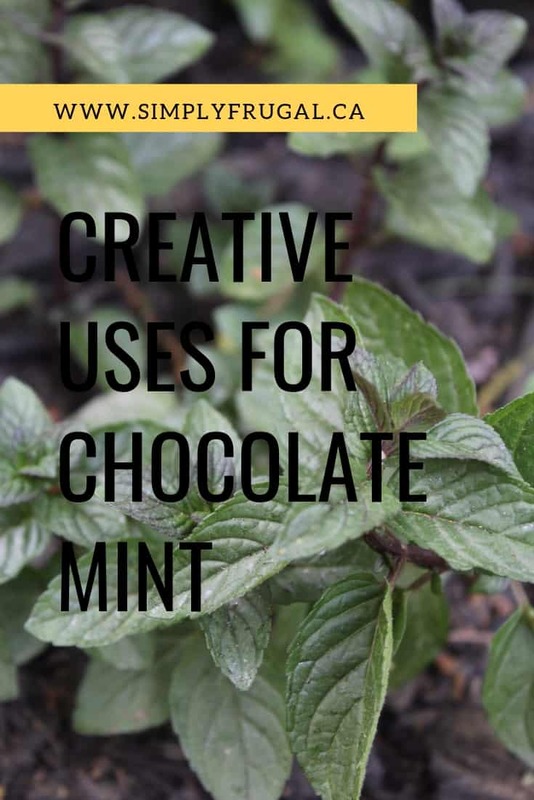 The oils in the plant can add a minty flavor and chocolate aroma that is heavenly. Be sure you only use mint that has been grown without chemicals and is rinsed well. 3. Freeze it in ice cubes. Fancy up your beverages and add flavor at the same time when you freeze chocolate mint leaves in ice cubes. They will give the cubes some color and add flavor as they melt. This is an excellent idea to try when you’re throwing a garden party or shower. You can also add it to homemade popsicles as well. 4. Add it to your cocktails. Chocolate mint is perfect for adding to your cocktails that require muddled mint. Mojitos taste even better when you add some fresh mint, and chocolate mint will get the job done and add a unique twist to the drink as well. Also, you can garnish any drink with a fresh chocolate mint sprig! 5. Make mint infused oil. You can let chocolate mint leaves and stems soak in a bottle of almond or coconut oil to make your own mint infused oil. You can then use it as a massage oil (mint will cause slight tingles and warmness, be advised) or even add it to dessert recipes or a type of fruit salad. 6. Mix it in with your homemade bath products. You can add chocolate mint to any of your homemade body scrubs, body butters, or other homemade bath products. Just muddle the mint or dry it and add it. You will not only get the benefits of mint but it will leave a wonderful scent too. 7. Dry it for crafting. You can use dried mint leaves in your crafting as well. Try adding it to homemade candles, lotions, potpourri and more. It will add a lovely fragrance and some fresh color as well. To dry your mint just tie it into a bundle and hang it in a cool dark place until it’s dry. Are you ready to put chocolate mint to work for you? Give these 7 ideas a try and see how useful it really is!